Queen Metallia begins to grow, her power increasing dramatically. Queen Beryl watches, in awe of her power. At this rate, Queen Metallia will be revived in no time. In Tokyo on her way to school, Naru runs into Ami and Usagi and asks them what they'll be doing for their school volunteer program. Usagi and Ami don't know yet but Naru asks if she can do it together with them anyway. That afternoon at Crown Karaoke, Nephrite and Motoki are cleaning the reception area. Nephrite is borderline depressed over his current situation. Just then, Usagi and Ami enter, having finished school and notice Nephrite, though they don't recognise his true identity as one of the enemy they used to battle. Motoki tells them he's a new employee. Finding "Nephrite" difficult to say though he calls him "Nephine". 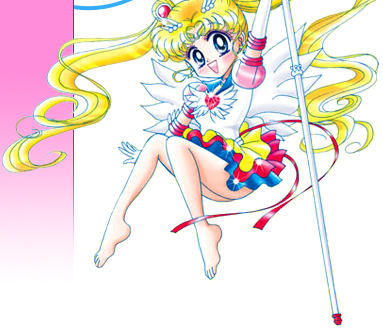 Ami and Usagi begin to giggle which pushes Nephrite over the edge. He lunges at Motoki and begins to attack him. Luckily, Makoto arrives and breaks them up. Motoki thanks her and tells her that he's okay. Usagi senses chemistry between the two even though Makoto has decided not to date him. 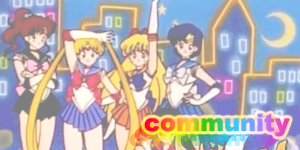 After making sure everything's okay, Usagi, Ami and Makoto make their way to their karaoke room to join Rei. 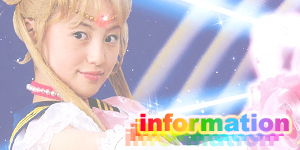 Rei tells them that she's concerned about Minako because she's become obsessed with their past lives. Makoto tells her that they can't escape their past and recalls how remembering her past helped her decide to be alone for the rest of her life. Rei tells her it's more complicated than that but let's it drop and asks the girls what they wanted to ask her. 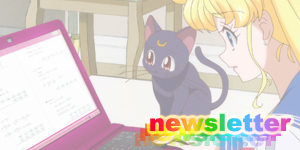 Usagi tells her that they need her help finding a place to volunteer. Rei gets them all volunteer jobs at a kindergarten and they all start immediately and they really get into it as well by dressing up in different animal costumes to entertain the kids. Ami is a penguin, Usagi a rabbit and Makoto a turtle. While doing some work with Ami, Usagi tells her that she thinks Makoto and Motoki could still work it out and conspires with Ami a plan to get Motoki to come and see Makoto. Ami heads back to Crown with a plan to tell Motoki a new species of turtle had been discovered near the kindergarten. 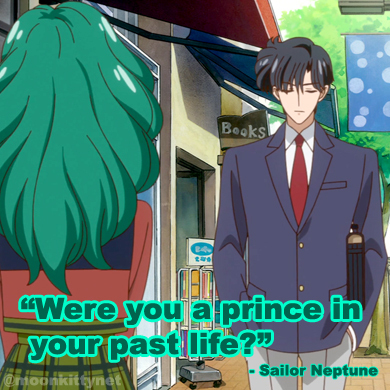 As soon as he hears this he changes and runs off to have a look, leaving Ami alone with Nephrite. When Motoki gets to the school, Makoto sees him and the two work out that she, in her turtle costume must have been the turtle he had heard about. They then say goodbye and Makoto confronts Usagi over interfering again. Suddenly Naru runs out and tells them that people in the school have started collapsing! Usagi and Makoto run inside and see several people passed out. Makoto then realises that one of the children is missing and runs outside to go look for him. Usagi tells her she'll start looking as well as soon as she calls the ambulance for the sick people. While running around Makoto sees Motoki and tells him about the missing child. They start looking together and see lots of people passing out all over the city. Eventually they find the missing boy who had climbed up a tree. Motoki climbs up and gets him down and places the boy on his shoulders while singing a turtle song to keep him happy. Makoto looks at him fondly and tells him her father used to sing that song to her when she was a child. 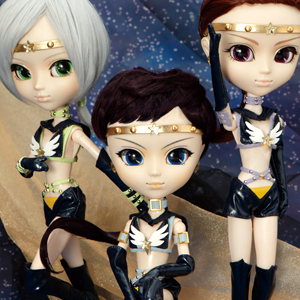 Unfortunately their moment is ruined by the sudden appearance of several Youma who begin to attack them. Motoki begins to fight them but doesn't manage to achieve much. Seeing no other choice, Makoto decides to transform into Sailor Jupiter in front of him. She does so and begins to fight the Youma. Motoki is in shock over this revelation. Similarly, elsewhere Youma have attacked Naru and Usagi while they were also looking for the missing boy. 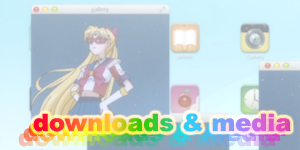 Usagi also sees no other choice and transforms into Sailor Moon. Naru is surprised though still recognises her friend as being who she really is. 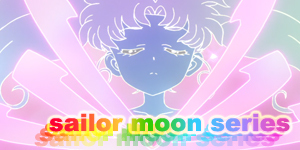 Sailor Moon uses her Moon Healing Escalation attack on the Youma but it does very little. The Youma then combine to form a super powerful Youma. 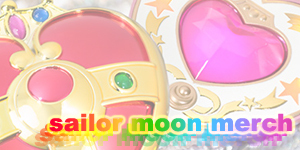 Sailor Moon then tries Moon Twilight Flash but that has no effect at all. Coming to the realisation that she may die, Princess Serenity takes control of Sailor Moon despite her trying to resist it and transforms into Princess Sailor Moon. Princess Sailor Moon easily deflects the Youma's energy blasts but she gets so caught up in destroying the Youma that she accidentally blasts Naru! Sailor Jupiter then arrives and screams out Usagi's name. Sensing Naru has been hurt, Princess Sailor Moon transforms back into Usagi who kneels next to Naru and looks around at the park where they had been which is now completely destroyed. She turns to Sailor Jupiter and fully realises that she has the power to destroy the world. 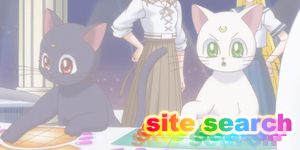 Wondering what Sailor Moon was thinking attacking with Moon Healing Escalation? So is everyone else. Perhaps she was trying to remove the evil from the Youma which could possibly destroy them? More likely the writers just wanted to use the attack which hadn't been seen for about 25 episodes or so.